Our Mango Tea Bags are specially made with the finest quality China Black Tea and crystallized mango pieces. It is, without a doubt, one of our most popular fruit-scented teas. Better still, you can now avoid the hassle of loose leaf tea with our convenient, quality assured tea bags. Mango Black Tea is far from a new phenomenon, but here at The Kent and Sussex Tea and Coffee Company, we only offer the best of the best. Everyone individual tea bag comes with our seal of approval, ensuring quality with every sip. But don’t just take our word for it. Try our Mango Tea Bags today. Unlike many flavoured teas, this beverage uses real mango instead of natural flavouring. So, don’t settle for second best, not when you can enjoy all the flavours and health benefits of one of the most popular fruits in the world. Mangoes can be found growing on numerous species of tropical trees belonging to the flowering plant genus, Mangifera, which in turn, belongs to the Anacardiaceae family. Interestingly, it is actually a distant relative of the pistachio and cashew trees. 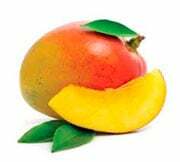 Mangoes are stone fruits which were first grown in India 5,000 years ago. It was later introduced to the Middle-East, most likely by Persian traders. It then spread further during the 16th Century following its introduction to Africa by Portuguese sailors, who also introduced it to Brazil in the 17th Century. From Brazil, mangos travelled to Mexico in the 19th Century, and finally to the United States in 1860. Today, mangoes are known and loved around the world, blessing culinary dishes from a multitude of cultures. Here at The Kent and Sussex tea and Coffee Company, we believe it is best suited to tea. Origin: China (Black Tea Leaves). How to Serve: Mango Black Tea Bags are best served without accompaniments. Tasting Notes: This invigorating cup of tea offers everything you’d expect from its name. Sweet, tropical and fruity in both flavour and aroma, Mango Teas bags are pure heaven when combined with this brew’s malty undertones. Health Benefits of Mango Tea: A recent study conducted at the Peking University’s School of Psychological and Cognitive Sciences, China, discovered that Black Tea enhances mood which, in turn, can enhance cognitive function. Fifty students took part in the research project which saw participants split into two groups. The first group consumed Black Tea while the second group simply consumed water. Two separate tests were conducted. During the first, participants from both groups were asked to make an “attractive and creative” design out of building blocks. The second saw both groups come up with an imaginative name for a specialist restaurant. The results were based on a scoring system and saw the tea drinkers score 6.54 points, and the water drinkers 6.03 points during the block building test. In the name test, the tea drinkers scored 4.11 against 3.78. Ultimately, this means that any Black Tea; be it flavoured or unflavoured, tea bag or loose leaf; can potentially improve cognitive function. Other studies, meanwhile, are currently researching possible correlations between frequent Black Tea consumption and the reduced risks of Dementia and/or Alzheimer’s Disease.